We’ve all made dumb mistakes when repairing or flying our quadcopters. Hopefully, a lesson is learned with every crash, every poorly soldered connection, and every loose wire. However, there are some easily avoidable mistakes you should be aware of whenever working with or flying your quadcopter. 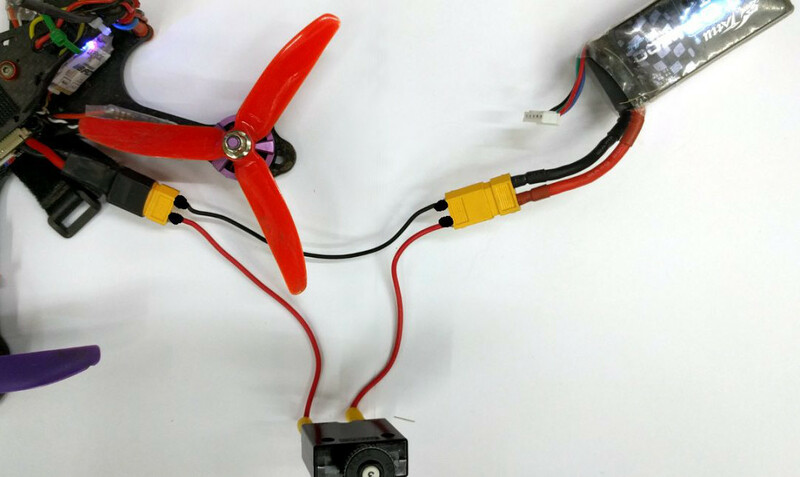 A smoke stopper places a fuse between your battery and quadcopter. It’s a safeguard to prevent shorting out any electrical equipment you may have wired improperly. If a problem is “detected” the fuse will pop preventing damage to your quadcopter’s components. These can range in complexity from a simple headlight bulb to a reusable circuit breaker. 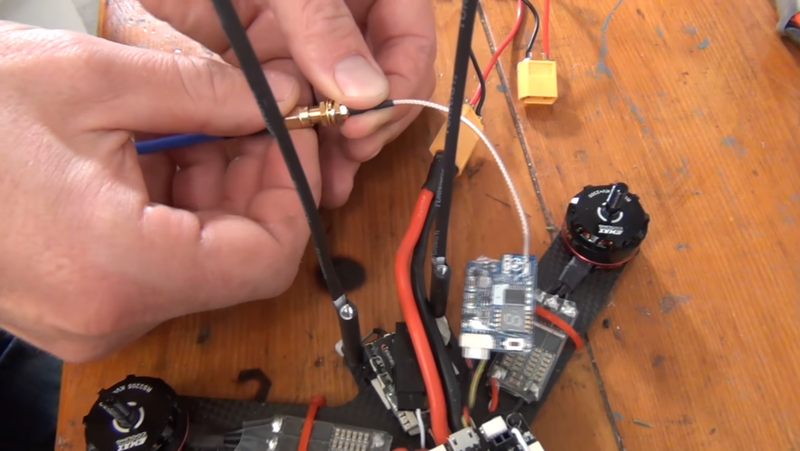 A smoke stopper keeps a simple fuse between your battery and quadcopter! We are avid evangelists for smoke stopper usage. They are incredibly simple (and cheap!) devices that can potentially save you a ton of lost money and time. Human error happens and having a final safeguard before powering up your quadcopter is great for peace of mind. Pre-built drones aren’t excluded here! We highly recommend testing a new ARF quad with a smoke stopper before your first flight. Build defects happen and catching them early with a smoke stopper might be the difference between cleaning up a soldering pad versus submitting a return request. Want to build your own smoke stopper? Check out our full smoke stopper article here! I don’t know a single pilot that hasn’t made this mistake. For whatever reason, receiver antennas seem to be attracted to our propellers. Worst of all, most budget ARF quads ship without any type of RX antenna mounting whatsoever. For a completely novice pilot or builder, this can be a hard to notice mistake initially. If you are having range issues with your quadcopter and don’t know why, check the status of your receiver’s antennas. Most ARF quads ship without any receiver antenna protection. 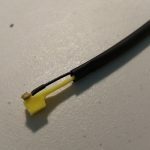 The easiest receiver antenna mounting solution is to use a zip tie and heat shrink to create a firm antenna mount. Attach a zip tie close to your receiver, align your antenna next to it, and then slip some heat shrink over the two. 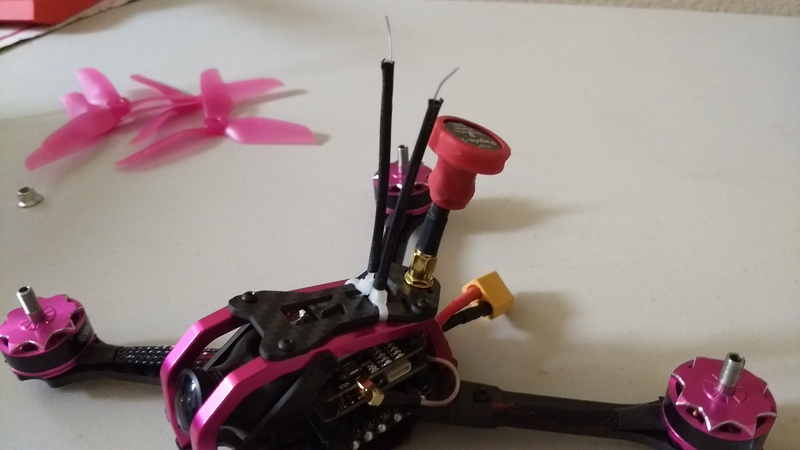 Once you apply heat, your antenna should be firmly fixed to the zip tie and away from your props. Mounted receiver antennas – notice the zip tie ends on the frame? You can check out some more quadcopter durability tips here! Want to easily fry your VTX? 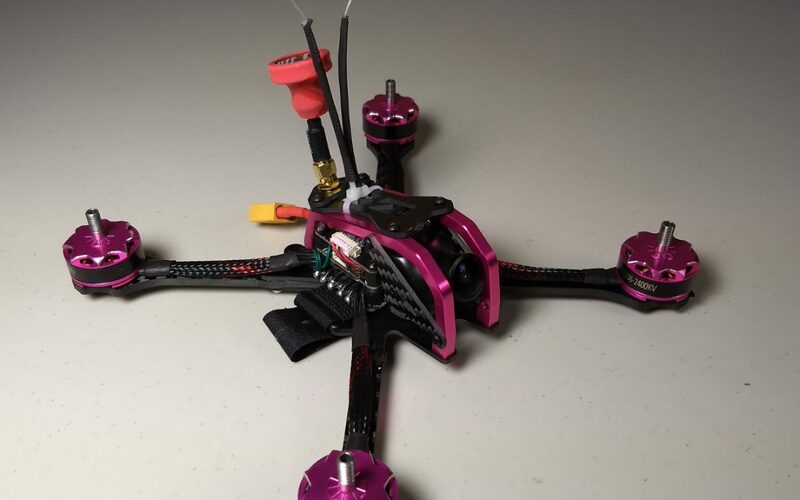 Power your quad up without an antenna attached to your VTX and you will very quickly lose the ability to fly FPV. Worst of all, it doesn’t take all that long for the VTX to burn out. You might realize the mistake within moments and still be out of luck. 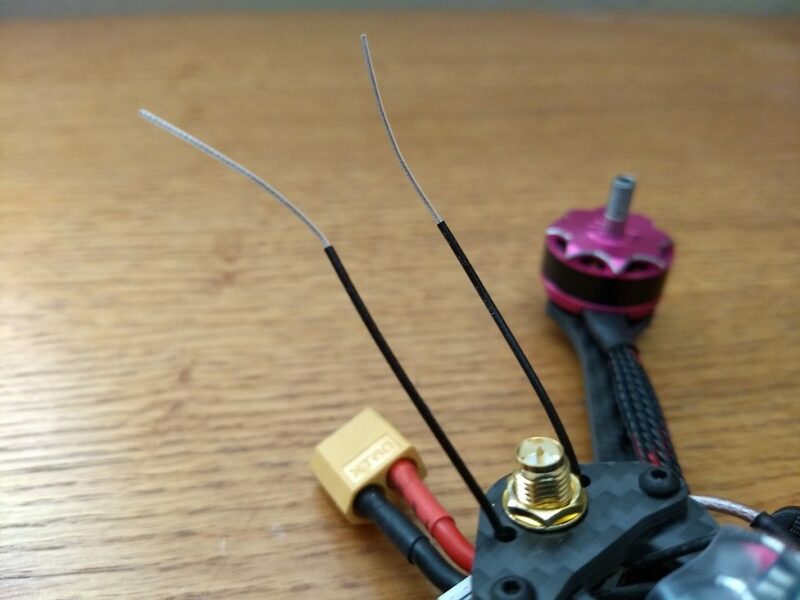 Always take the time to attach an antenna to your VTX before powering up! The easiest way to prevent this is to never remove the antenna from your VTX unless absolutely necessary. 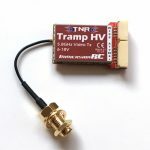 If you don’t have a fancy omni-directional antenna yet and are working on your quad, you can use a cheap linear antenna (usually packaged with most VTX’s) to prevent burn out. We wouldn’t recommend flying with one, but it can prevent repair accidents in a pinch. 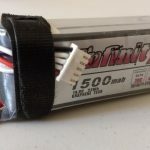 You may have seen us mention in numerous articles that you should treat your quad like a loaded gun when a battery is connected. While this might seem overkill to some folks, we have seen too many pictures of mangled hands from careless handling of a powered quad. Don’t believe us? Just do a Google image search for “quadcopter propeller injuries”. We don’t recommend actually Googling this, just take our word for it. There is almost never a reason to have your propellers attached while working on a powered quad. Make it a habit to remove your propellers whenever performing any quad maintenance at the workbench. Similarly, don’t grab a crashed or disarmed quad at the field by the motors / propellers. Try to hold a quad by the underside of the frame when re-positioning it or powering down after flying. If you absolutely MUST have your propellers on to test something (for example, ensuring correct motor spin direction), do not secure the propellers. Simply place them on the motor shaft unsecured (don’t screw down the prop nuts) and slowly increase throttle to lightly spin or pulse the motors. Even this is risky though, as the propellers can easily spin off and out into your work area. Instead, we recommend tearing off a small piece of paper and placing it on the motor shaft to check directionality if needed. Getting a new quadcopter is exciting. We totally understand the massive temptation to rip the box open and get flying immediately. Hell, most of the new generation ready-built quadcopters are marketed as good to go right out of the box. However, you should always do a software and safety check before flying your quadcopter. 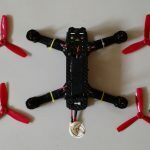 James’ outlines this in his inspecting your ARF racing drone article. One of the easiest safety checks you can perform is ensuring your failsafe is working after binding your transmitter. 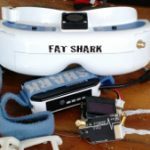 A failsafe prevents your quadcopter from “flying off” into someone’s house, a forest, or wherever the winds take it in case of radio signal interruption. It does this by totally disarming the quadcopter shortly after radio signal is lost. Testing the failsafe is easy. Assuming the “MOTOR_STOP” command in Betaflight is tuned off (meaning your quadcopter motors spin up when armed), you can simply power on your transmitter, arm your quad, and then power off your transmitter. Within a few seconds, the motors should stop spinning. If so, your failsafe is configured properly! If not, we recommend following the steps in our software setup guide to ensure everything is working correctly. Any other easy mistakes to look out for? Any dumb or easy to make mistakes you can think of or have run into before? Leave us a comment and help prevent others from making the same errors you’ve learned from!